When it comes to distributors a manufacturer looks for someone they can trust. It’s the job of the distributor to ship the products to either the retail stores or directly to the customers of the product. This is essential in helping reach markets manufacturers could not otherwise target. Businesses often appoint distributors because a local business has existing customers, contacts and relationships, and understands the local business culture and practices better. The distributor becomes the manufacturer's direct point of contact for prospective buyers. By forming trusting relationships with partners, the manufacturer has peace of mind that their product will hold its value for the user. This is why our distributors are so important to us here at Quin Global (UK) (Quin). 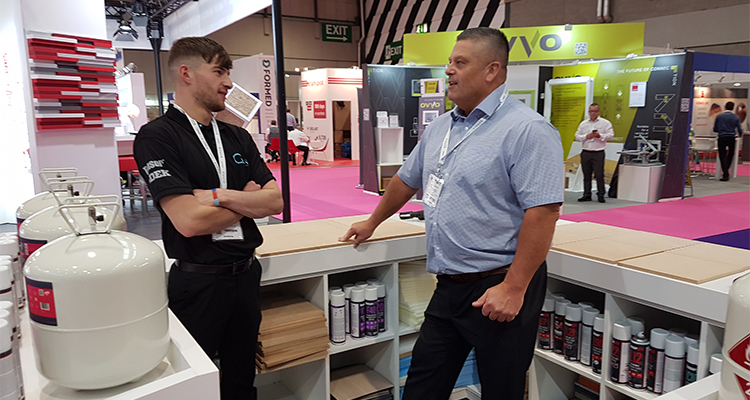 As part of our stand at W18 this year we decided to give two key distributors (SIS Hopkins & The Glue People) the platform to work with us more closely and to engage users and potential users of our products. This gave them the opportunity to find out more about how Quin ticks and gave customers a clear understanding of the journey between manufacturer and distributor and the trust that exists between the two. We caught up with Pete from SIS Hopkins and Andy and Mark from The Glue People to see how they found the experience. Andy and Mark also really enjoyed the experience and found it very beneficial. They were delighted to be invited onto the stand by Quin as it gave them a useful insight into Quin. It also gave them the opportunity to meet current customers as well as new ones. 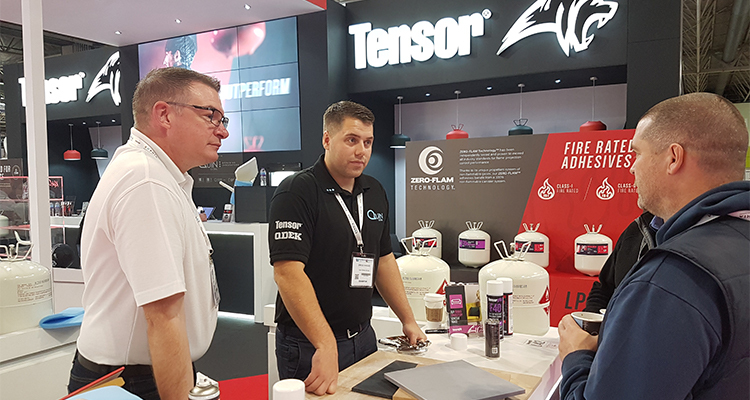 The distributors also found it useful to be out of the office environment as it gave potential and existing customers the opportunity to explain what they were looking to achieve and for Quin to provide solutions for them during the exhibition. The show also gave them the opportunity to be in front of people they wouldn’t normally be able to get in front of. The opportunity was also a great way to break down barriers with customers as our distributors could chat with them over a coffee and find out their requirements in a more relaxed environment. The demonstrations areas were also appreciated by the distributors as it gave them the chance to showcase the product straightaway while chatting to the customers. All our distributors enjoyed the experience and if the opportunity arose again would love to join Quin on their stand again. As you can see having our distributors on the stand at W18 worked extremely well. It gave our distributors the opportunity to find out more about how the culture at Quin works and what goes on at our stand during a tradeshow. It also gave the end users of the product the chance to see the trust that exists between Quin and its distributors. Interested in finding out more about our products have a look at our website here. Or for more information regarding SIS Hopkins click here and The Glue People click here.